No review or tasting notes on Cristopher Columbus Kelt XO Cognac. Admitted, a good name for a cognac: Christopher Columbus. This Grande Champagne 1er Cru cognac is part of Explorer Collection, the first in the series honouring famous Explorers. The collection is a limited serie of 5000 bottles. There might be a second series. KELT Christopher Columbus is a Grande Champagne cognac of an Extra quality. The Ocean Maturation (Tour du Monde) rounds it off to become exceptionally smooth and wide in the spectrum of tastes and aromas. This bottle can be called either Grande Fine Champagne Cognac or Grande Champagne Cognac. Eye: Deep golden hue Nose: Hints of leather and dry fruit Palate: Round and fruity, somewhat feminine. Increases in complexity in the mouth, with spicy notes and those of wood. A long, elegant finale. Eye: Golden amber. Nose: Rather floral, slightly fruity. Orange confit and prunes. Palate: More flower flavors and candied fruit. An intense flavor of almonds and hazelnuts. The finale is strong, with notes of cocoa and leather. Spice and smoky hints come to the fore. 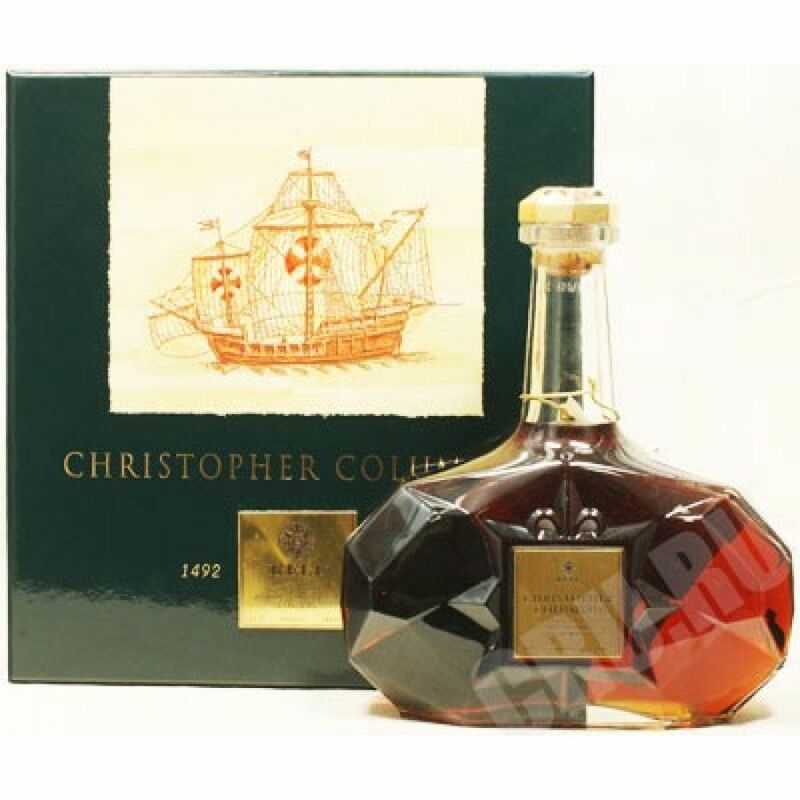 I have a box of Christopher Columbus XO cognac....my parents have had t for twenty years ....is it worth anything...the price on here can't be from 1990 as the one I have,....is it?? If so....where do I sell it...I don't drink cognac!